A native Vermonter, Libby comes to real estate from coaching ski racing. As a ski coach, Libby was fortunate enough to coach and travel around the world, but when coaching brought her to Burke Mountain Academy, she knew the Northeast Kingdom was the place she wanted to put her roots down. She is grateful to be living and working in an area with such a strong sense of place. Libby graduated from Hobart and William Smith College, in Geneva, NY with a degree in Art History. She also played soccer and raced for the ski team. She still enjoys both sports as well as biking, hiking and most anything outdoors! She lives in North Danville with her husband Silas, daughter Nell, and their dog Gill. Libby was awesome, she was so helpful, when I called or text she responded right away. She answered any questions I had, kept me updated with any changes and requests. I would recommend Libby to anyone that asked. I consider her a friend. Libby is the absolute best! She kept in close contact with us, answered all of our questions regarding the property and the area, suggested various tradespeople in the area, is very personable and professional and was a pleasure to work with. Professional, kind, and knowledgeable. She handled the careful balance of selling our home and helping us purchase another property simultaneously. Don’t pass up the chance to work with Libby! 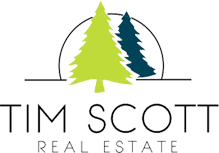 Dean and I have had the pleasure of working with Libby on the sale of our home in Ryegate, VT. At all times, we feel that she was respectful of our home and always had our best interest in mind. We couldn't be happier! The whole process was great from start to finish. "Libby is a terrific agent. She was very professional and helpful through the entire process of buying our home. She always responded quickly to any question or concern. She made us feel informed, comfortable, and prepared, and we could not be happier with our new home. We would work with Libby again in a heartbeat and highly recommend her!" "Libby was great to work with. She made the process easy and helped calm my nerves on a frequent basis. We were very happy that she was able to guide us in the right direction when choosing houses to look at, and eventually to our new home."